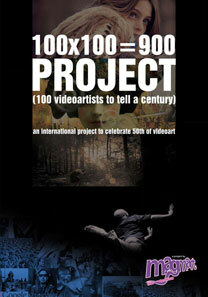 Curator for Centre 3 exhibition of 100x100=900 Project. Andrew Butkevicius is an Artist, Photographer, and Curator living and working in Hamilton, Ontario, Canada. He has a B.F.A. from Queen’s University at Kingston, and an M.F.A. from the University of Windsor. Currently he is the Vice Chair of Centre 3 for Print and Media Arts and is the Chair of various sub committees. 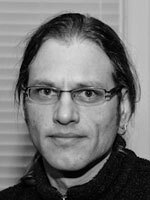 In the past Andrew has also been involved with The Factory Media Arts Centre in Hamilton, and The Art Gallery of Windsor, Artcite Centre for Contemporary Arts, and the House of Toast Film and Video Collective in Windsor. Andrew’s works often utilize Infra Red photography and layering to act as metaphors to contemporary themes. His works have been exhibited internationally and are in various public and private collections. He collaborates with 100x100=900 Project to organize the CENTRE3 FOR PRINT AND MEDIA ARTS exhibit at: The Screening will run alongside the gallery exhibition entitled Steeltown Views curated by Ingred Mayrhofer at Centre 3. Primary Exhibition will be held during the James street North Art Crawl on August 9, 2013. 6-10pm.